The Federation Council will study how European political bodies spend Russia’s multi-million annual fees and decide on the advisability of remaining in the Council of Europe and its parliamentary assembly. The head of the Upper House’s Committee for Foreign Relations, Konstantin Kosachev, told mass circulation daily Izvestia that senators had already asked the Foreign Ministry to prepare a detailed report on the issue. 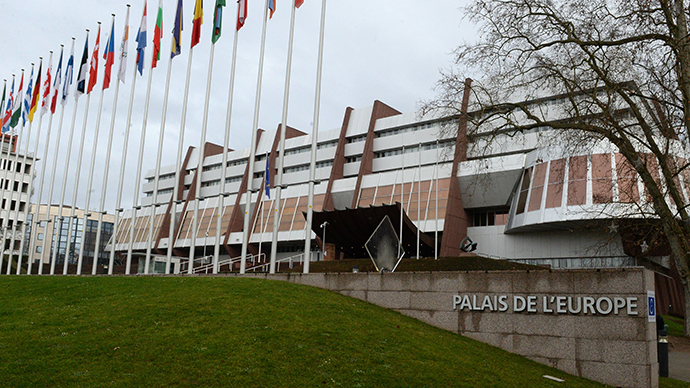 The annual fee the Russian Federation pays to the Council of Europe is €28 million.The organization’s general budget is about €403 million, according to RIA Novosti. The interview followed the latest PACE decision to strip the Russian delegation of voting rights in the assembly over the ongoing crisis in Ukraine.After this move, the Russian delegation quit the body and Russian officials hinted the country might soon leave the CE if such attitudes persist. “If the Russian delegation doesn’t retain all of its powers – and most importantly the right to vote – there will be no reason for us to work in PACE under such conditions,” the State Duma speaker was quoted as saying by Interfax. “It is possible that the issue of our membership in the Council of Europe will be raised at the end of the year,” State Duma speaker Sergey Naryshkin told reporters in late January. “We are leaving the Parliamentary Assembly till the end of the year and we congratulate the assembly with passing this decision that I personally hold as unacceptable, and that delivers a very serious blow on the dialogue between parliaments in Europe,” said Aleksey Pushkov, the head of the Russian mission. Also this year, several Communist Party lawmakers have petitioned the leaders of the Russian parliament with a request to recall the delegation from PACE as membership in this organization has a “negative influence” on the country. The conflict between Russia and PACE developed in 2013 and 2014 as Russia opposed the coup d’état in Ukraine that brought the current Kiev regime to power. In April last year, the European body approved the first anti-Russian resolution, depriving Moscow’s delegation of the right to vote and banning it from participation in ruling bodies, and monitoring missions till the end of the year. The Russian State Duma replied with a resolution saying that nations that have repeatedly violated international law, causing thousands of casualties, have no moral right to judge Russia or impose sanctions on it. MPs also said they considered it impossible to resume discussions at PACE while sanctions against Russia are still in force.